Every day you button your clothes, roll up your shirt sleeves, and pick out your shoes. But what if I told you the way you go about doing these things is all wrong (or at the very least ill-informed)? From packing your suit the wrinkle-free way to keeping your rolled-up sleeves from unfurling, heed these 11 clothing and style hacks that will save you time, money, and, in some cases, embarrassment. Instead of rolling the cuff slowly up your sleeve, flip the cuff back and pull it to just below your elbow. Then take the bottom (inside-out portion) and fold it up so it traps and covers the bottom cuff. Your shirt sleeves won’t unroll again. Simply wrap the suit in tissue paper and place it in a bag to keep it in good condition. 3. Learn the “sometimes, always, never” rule of jacket buttons. 4. Match your dress shoes and suits. 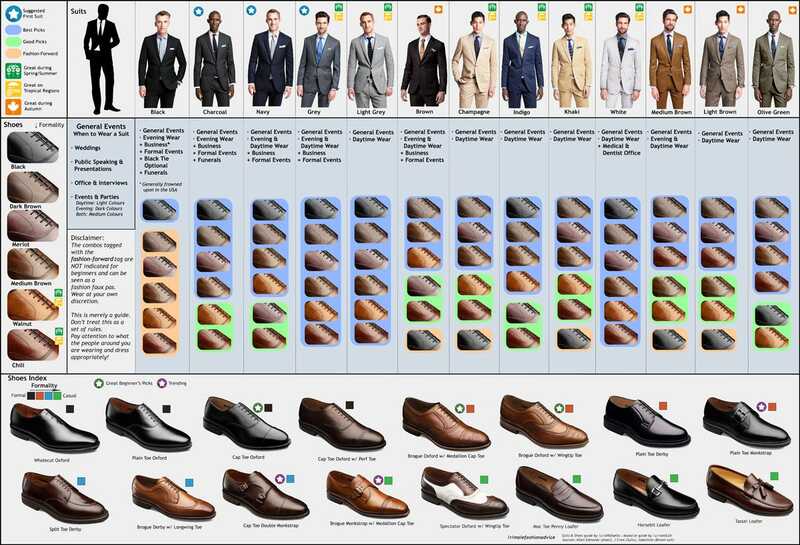 Follow this simple chart to learn what colors and styles are best. If you’re wondering which shoes to wear with shorts and chinos, click here. 5. When possible, always try to buy full-grain leather goods. It’s the highest-quality leather money can buy, it will last forever, and it’s far superior to top-grain and genuine leather. 6. Invest in quality shoe trees. A good pair of shoe trees will maintain the shape of your nice work shoes, prevent the leather from warping or cracking, and absorb any excess moisture from your shoes so they don’t rot from the inside out. 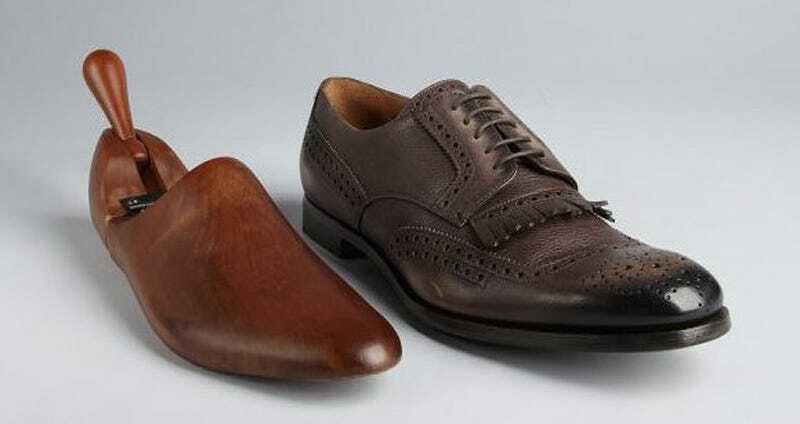 Bespoke shoe trees are the best for your expensive shoes. 7. Hang your suits and dress shirts on cedar wood hangers. 8. Fold your sweaters instead of hanging them. Even lightweight sweaters stretch out if they’re on a hanger for too long. It’s better to fold sweaters in your wardrobe and hang dress shirts and T-shirts instead. 9. Go sockless without causing a stink. There’s an easy way to cheat that oh-so-popular sockless look. Loafer socks are undetectable, but effective at soaking up sweat so there’s no funky odor. 10. Use leather soap and oil to preserve your shoes. 11. Let your shoes breath between wears. You shouldn’t just slip on the same trusty pair of dress shoes day after day. Why? Because if you let them rest they’ll stay alive that much longer.